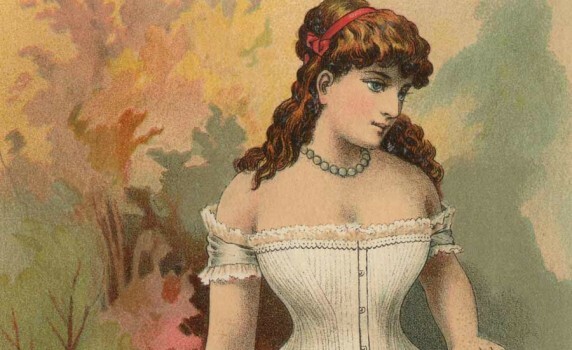 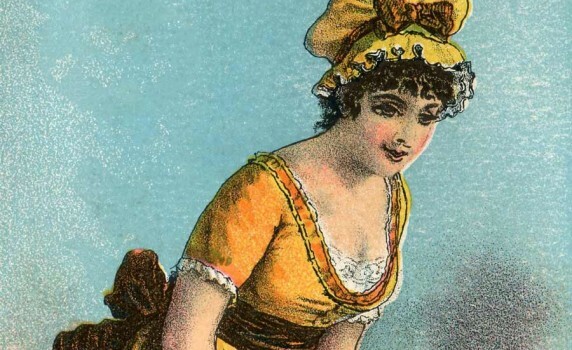 Here’s a beautiful woman in a rather risque-for-the-era yellow dress on a Victorian trade card advertising shoes. 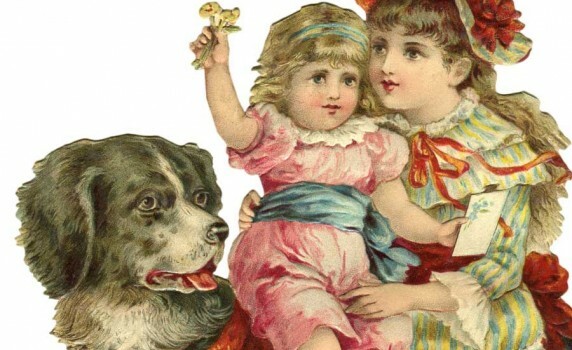 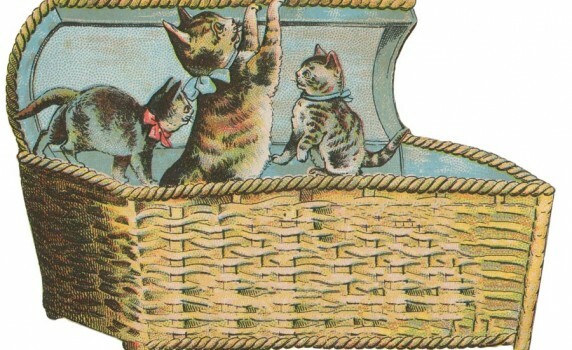 A trade card with a cute basket of kittens from my Victorian era scrapbook. 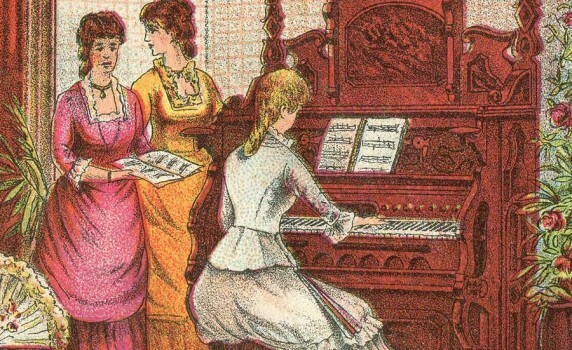 A lovely late 1800’s Waterloo Organs trade card with four women playing music and singing in a parlor. 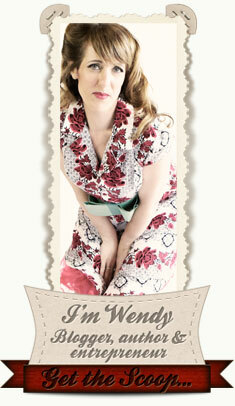 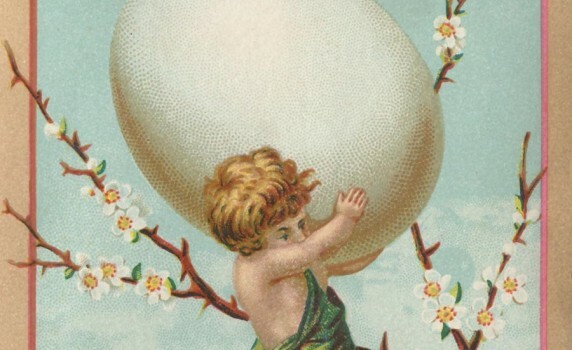 Here’s a pretty card with a cherub carrying an Easter egg with apple blossoms in the background. 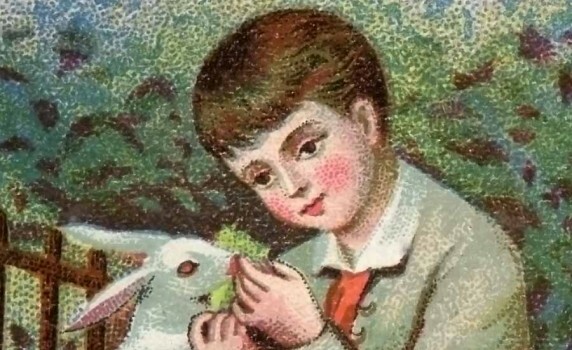 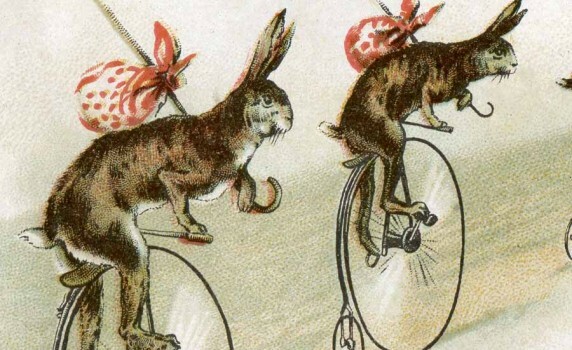 Here are some adorably bunnies on bikes in two versions of a Victorian era trade card for J. 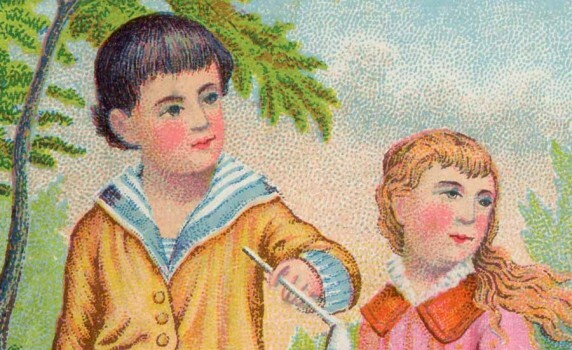 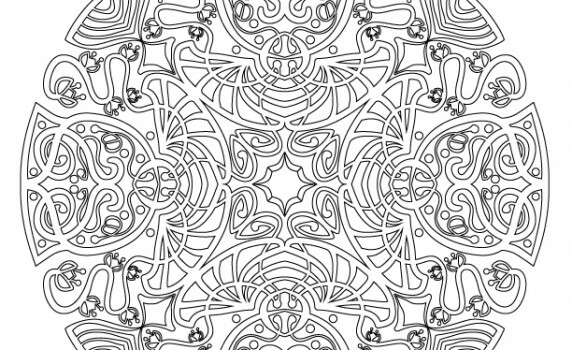 & P. Coats thread.